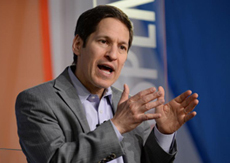 Yesterday, I sent a letter to Dr. Frieden, Director of the Center for Disease Control (CDC), regarding the recently confirmed case of Ebola in the United States. In the letter, Poe calls on the CDC to recommend that the President invoke his authority under 42 U.S.C. Title 42 Sec. 265 to prohibit non-essential travel to Sierra Leone, Liberia and Guinea by all American citizens, resident aliens, and foreign nationals attempting entry into the United States, until this current outbreak is brought under control. The health of our citizens should be the main priority of our government. Fortunately, there is a law already on the books with the very purpose of containing the spread of diseases into our country. The time to invoke this law to ensure Americans are not exposed to this deadly disease is now, not after the disease is spread even further within our borders.